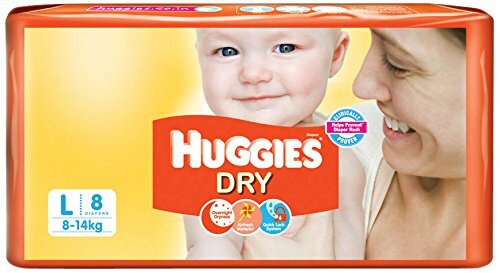 Huggies Dry diapers keeps your baby's skin drier and healthier with an Airfresh cover, double leak barriers and the trusted leakage protection of the quick lock system. One of the most important baby care products that you will buy for your baby is diapers. Whether it’s for your new born or for your toddler who is yet to be able to go to the bathroom by himself or herself, diapers are the product that can make your first year of parenting easy or tough. If you have thought of not using diapers, just consider the consequences. Cloth diapers not only have to be changed more often, but they have to be washed and sanitized every single time. Also, if the fabric is not smooth enough, it will constantly rub against the baby’s skin which may lead to scratches or redness. To spare your baby and yourself all this trouble, switch to diapers, especially these ones from Huggies. Choose Huggies Dry Diapers for your child and you’ll both sleep soundly through the night. Whether it is play time, nap time or bed time, these diapers are okay for any activities that you have planned for your baby. The magic gel formula will pull in any wetness instantly and keeps the child’s bottom dry. The absorbent core locks in all the fluid after distributing it evenly. These diapers are highly absorbent and keep your baby relaxed and dry, even when he or she is crawling and on the move. The double leak guard prevents leakage along the sides, keeping both the baby and your floors clean. Huggies Dry Diapers come with a wear-any-side snug fit, giving you the freedom to make your baby wear his or her diaper any way you want. 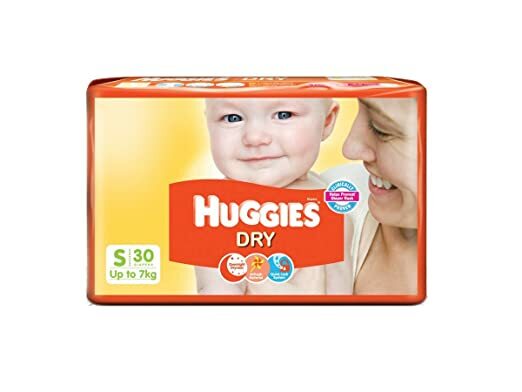 To Recieve updates and possible rewards for Huggies Dry Diapers Small Size please sign in. To Recieve updates and possible rewards for Diapers & Nappies please sign in.